Telltale Games and Mojang officially announced today that Minecraft: Story Mode Season 2 will premiere on July 11 with Episode 1: Hero in Residence, which will be available for PlayStation 4, Xbox One, PC, and iOS/Android devices. 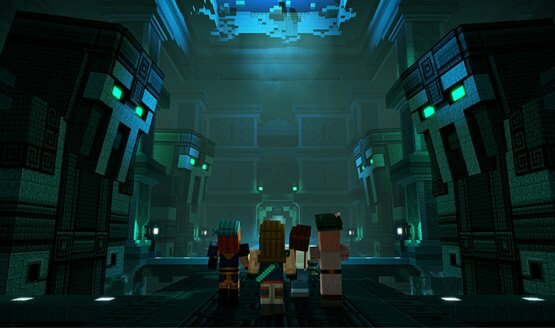 Minecraft: Story Mode – Season 2 continues Jesse’s saga in a five-part, narrative-driven, episodic game series developed by Telltale in collaboration with Mojang and members of the Minecraft community. Though players’ choices from the first season will carry over into season two, this new season will be accessible to both returning fans and newcomers alike. This second season will also include Telltale’s unique multiplayer ‘Crowd Play’ feature, which allows friends and family to engage with the adventure together by helping to decide the direction of the story from any mobile device with an online connection. So far, the cast includes Patton Oswalt, Catherine Taber, Ashley Johnson, and Scott Porter, with Stampy Cat, stacyplays, and other Minecraft community YouTube personalities providing cameos. If you want to buy Season 2 at retail, a Season Pass disc will be available this fall.